Organic farming has been globally applauded as it recycles resources, promotes ecological balance and conserves biodiversity. Organizations like the U.S Department State of Agriculture have I standards that organic farmers have to adhere to. These rules restrict the use of some pesticides and fertilizers as they are considered harmful. Therefore, Organic Foods are produced by methods that conform to organic farming. USDA prohibits the use of food additives, processing aids and fortifying agents that are used in nonorganic foods. This means that; organic foods do not contain; preservatives, artificial sweeteners, colorings, and flavorings just to name a few. Organic farming uses complex fertilizers like compost manure which can be self-generated from animal waste and decompose harvested plants. This lacks toxins and pollutants which are harmful to both the soil and environment. 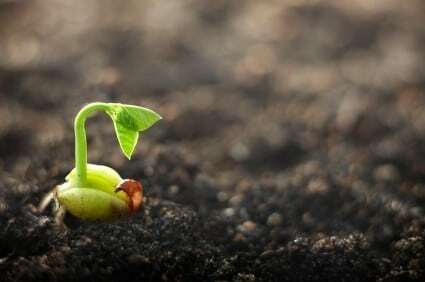 Conventional seeds require the use of artificial fertilizers applied to the ground to speed up the germination ad growth of plants. Many pesticides are used on the plant to destroy pests and diseases that can damage the plants. These pesticides and fertilizers contain contaminants and toxins that cause pollution. Soils that use fertilizers for a long time cannot produce healthy plants without it. Organic farming maintains and improves soil health. Organic research is conducted to; develop more organic varieties and allow continual improvement of current organic varieties. 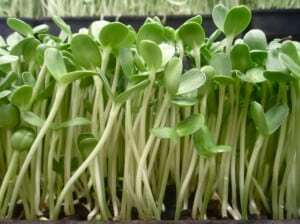 The more people purchase organic sprouting seeds, the more they motivate companies and universities to devote their resourcing in conducting research. Organic farms are filled with sprouting plants and different types of insects, amphibians and birds among others. Organic farming uses traps to get rid of the bugs instead of killing them. This makes the environment a safe harbor for all living things hence maintaining a balance of nature. Organic foods are considered safe for consumption, healthy and delicious. This is because all practices from seeds, farming methods, processing, and packaging are chemicals free. Organic farming should be embraced by farmers as it not only supports them; it provides a safe and sustainable environment for all living things.